Permanent change in thinking or behavior. I don’t believe we were able to return order to the class for a solid 10 minutes. We couldn’t stop laughing. And the kid that uttered the memorable phrase loved it more than anyone. And onto the whiteboard went Cuzitwoowoo. Other times, certain phrases from reading or learning stood out. And they went onto the whiteboard. Teaching gave way to building administration gave way to district administration. And in each place, I continued to capture ideas on the board. The latest words come from Intentional Interruption: Breaking Down Learning Barriers to Transform Professional Practice by Steven Katz and Lisa Ain Dack. Their definition of professional learning, or actually learning, is precise. “Professional learning results in a permanent change in thinking or behavior.” That is a pretty high bar to call something learning. I really like it though. So looking at those words, I thought about the history of how they came to be on my whiteboard. And it goes back to using Twitter as a professional learning tool. I saw a retweet on twitter this morning in fact, from Aaron Hogan. And Aaron is correct. Through twitter, I have found and learned from so many amazing educators. Jenni Donohoo is one, for example. She shared some of her favorite books. The Katz/Dack book was one. And man, did it hit home. We had been searching for a resource to help us do a better job with adult learners. And bingo….this book will help us. We are literally living their learning process. We are going to try to put focus, collaborative inquiry, and instructional leadership on adult learning. The educators I have found on twitter have permanently changed my thinking and behavior. I have learned. And want to continue to learn. The other two quotes are guideposts. “Nothing is going to change if nothing changes”, from the amazing David Geurin. If you haven’t read Future Driven, stop what you’re doing right now and go read it. And, “What you do stands over you all the while and thunders so loudly that we cannot hear what you say,” is just such a stunning reminder that actions speak louder than words, that I wanted a daily reminder. Permanent change in thinking and behavior. Trust the people. Trust the process. As we continue to battle the beast of passive professional development, this phrase, this truth arms us with the correct frame of mind. As we said to our educators, “Everyone in this room has a college degree. Everyone in this room has a very good idea what she/he needs to learn more about to do a better job for more kids. It’s your job to professionally learn.” And we, the people responsible for removing obstacles and barriers to that professional learning need to believe bone deep that we are to Trust the people. Trust the process. Jenni flat gave us an immediate experience to do just that. Trust the people. Trust the process. After our first session together, our educators had ‘team time.’ No directions for how to form teams, with whom to form teams, what to do in said teams. Just some suggestions for activities. Completely up to the educators. So, there was some standing around. A little awkward time. We’ve done a great job in the past completely programming every minute at these kinds of gatherings. And then….people formed into groups. Had the conversations they needed to have. It was fantastic. Upon returning to Jenni’s final session, it was clear that the intensity, based upon the success and excitement from the team time, was ratcheted up over the first part of the presentation. We were invested. Our learning was deeper and more meaningful. Kind of amazing what happens when one trusts the people and trusts the process. Whose job is it exactly? Professional learning or professional development? I believe in the former. Used to experience the latter. Not to claim victimhood, but when one knows better, one must do better. I now know better. Professional learning > professional development. What’s the difference between PL and PD? The source of the ultimate responsibility. We have done a revoltingly good job removing the teacher from her/his own professional learning when we professionally develop. Typical professional development is top down. Someone else decides what one is to learn, designs the learning, imposes the learning, assesses the learning. The learner is not part of the equation. No determination of interest, need, experience, expertise. Zip. And we’ve done such a great job with this model, it’s really tough to break good educators out of this stultification. We’ve created a system where educators expect to simply sit and absorb. Play the game. Then go about business as usual. Following our morning work with Jenni, we’ll be hosting our own EdCamp. We think these two learning opportunities fit together in service of professional learning. The research based, Hattie reinforced, Donohoo clarified Collective Teacher Efficacy, leading into an educator driven EdCamp. Educators choose the topics for learning. They learn from each other. They share resources. If it’s a good EdCamp, they leave with more questions than answers. They collaborate, share, challenge, argue, network, and LEARN. Sound like some of the stuff we want kids to do. And yet, our challenge remains to slay the passive beast of professional development. Sit. Get. Absorb. Leave. A very important C. Communication. The Four Cs. 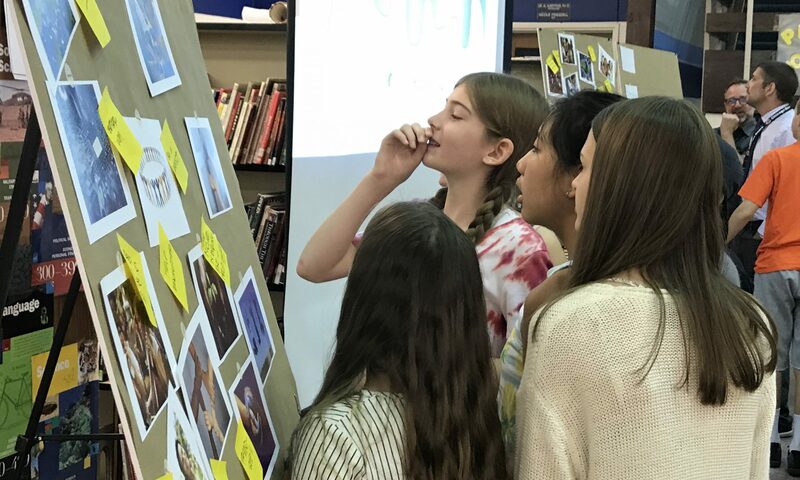 Communication, collaboration, creativity, and critical thinking. Tonight and tomorrow, students will be utilizing all four. Students in Iowa, Washington, and Minnesota. Two twitter chats are happening. The first is this evening. 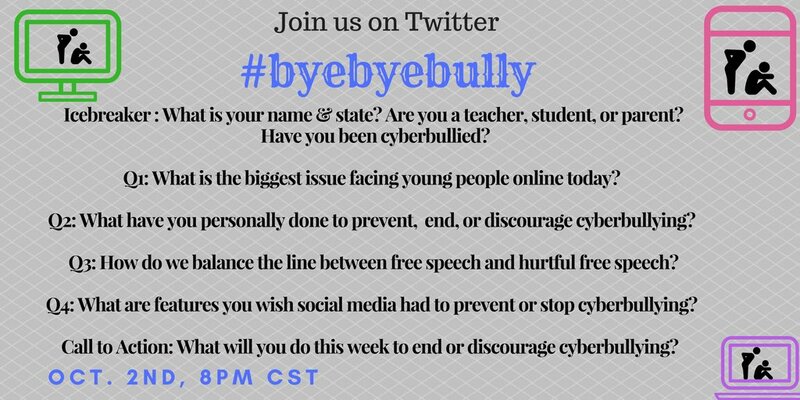 A group of middle school kids in Minnesota are hosting this awesome twitter chat! 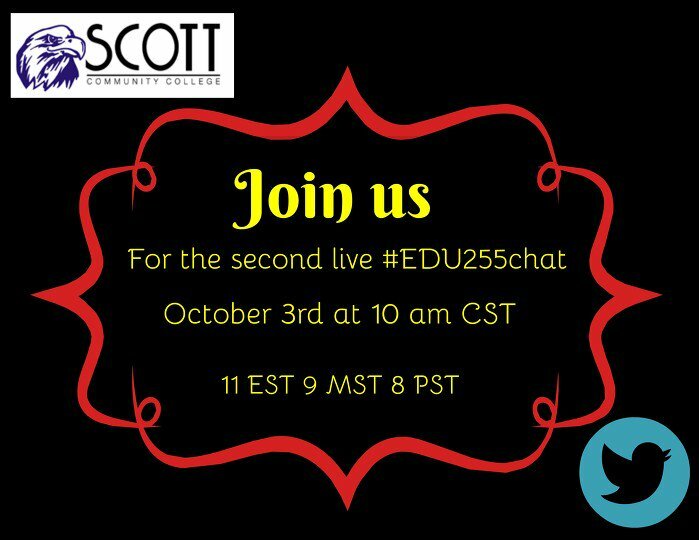 Then a second twitter chat takes place tomorrow morning! This twitter chat features pre-service teachers in Iowa chatting about technology use in class. We’re inviting some of our own students and staff to participate! The power of Twitter for communication, collaboration, creativity, and critical thinking.